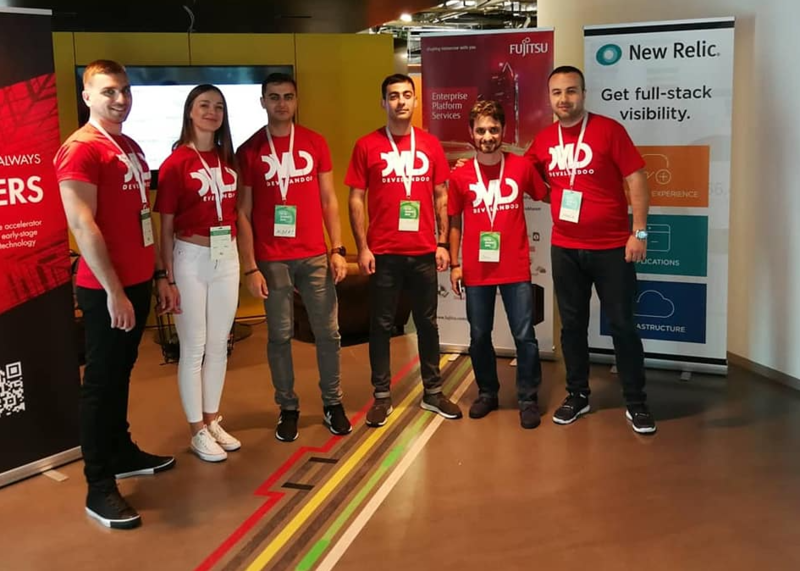 As we continue to present our series of articles on various topics touched upon during the M-AI summit, hosted by Develandoo Innovation Lab, today we’re giving an overview of talks presented by Wilfried Cleres and Adeesh Fulay. Cleres is the Managing IT Consultant for Automation and Cloud Services at Fujitsu Enterprise Platform Services. At Fujitsu Siemens Computers he led and defined the Global Project Support Team for SAP infrastructures, followed by management responsibilities in the Fujitsu service and product area. Prior to joining Fujitsu, Cleres worked for Siemens CIO in Project Management for the Siemens Enterprise Portal and the Siemens SAP Task Force. Wilfried holds a degree in electrical engineering from the Fachhochschule Darmstadt / Germany, specializing in automation and information technology. Fulay is Director of Product Management at CA Technologies. In his current role, he is responsible for developing CA’s vision of IT Operational Intelligence. This includes machine learning-based analytics, spanning clouds to mainframes, helping enterprises deliver a phenomenal user experience, and improving service quality and driving operational efficiencies. The main topics of our speakers were about their current work in the area of data center management and automation, where they combined artificial intelligence and automation, because they believe it could bring real value to their customers. 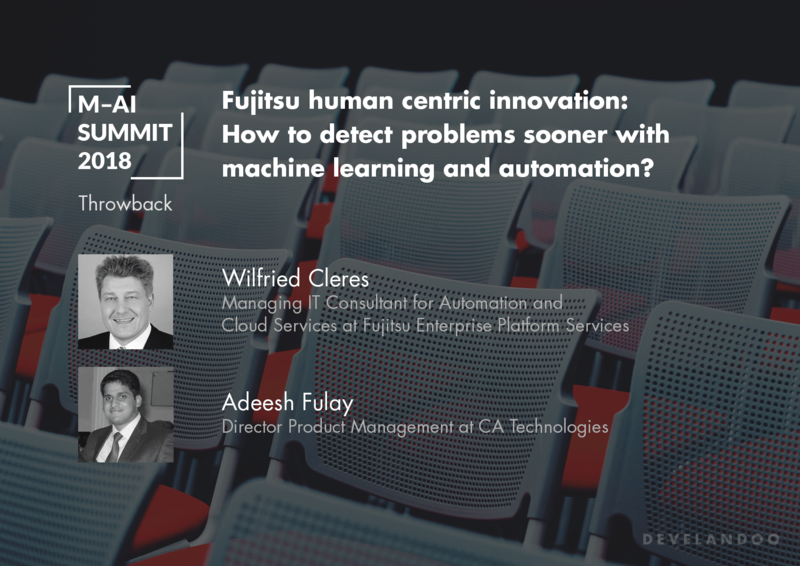 First, Cleres gave the definition of Artificial Intelligence from his side and explained how his team brought AI to Fujitsu. He spoke about proven use cases for AI in EMEIA among which he mentioned AI quality control, a solution developed together with Siemens. It’s about maintaining wind turbines. AI customer flow analysis which is about making the invisible, visible. It provides an opportunity to make observations using cameras and create solutions to control traffic flow, managing the entire environment of cities. And last but not least is AI in predictive maintenance, which was actually the key point of the talk. Cleres introduced Fujitsu’s EPS strategy and goal, modeling and digitalization of business processes, reference architecture, their path of digital transformation and information about their Data Center management and automation (DCMA) approach, value, and delivery model. And as a continuation of the talk, Fulay further speaks about operational intelligence and explains the technical background of AI usage. ‘’So basically what we do is to help enterprises keep the applications up and running. So we monitor everything from your cloud assets to down to the mainframe. Everything in between application networks, business processes, all of them. And the reason I tell you this, is there are two challenges that typically our customers have. One is an outreach which is devices down, services down when you’re accessing your YouTube application in the video, and it stops streaming. You have a problem, so people are worried about such things,’’ said our speaker, adding that it’s just one of the problems. As for him, the more interesting problem is the subtle changes in performance. To get introduced to the next part of our speakers’ talks you can visit our youtube channel and find the videos of all of our speakers at Munich AI summit. We are thankful to all our sponsors and participants and the speakers for attending our Munich-AI Summit 2018, the one and only free event at Munich related to Artificial Intelligence. 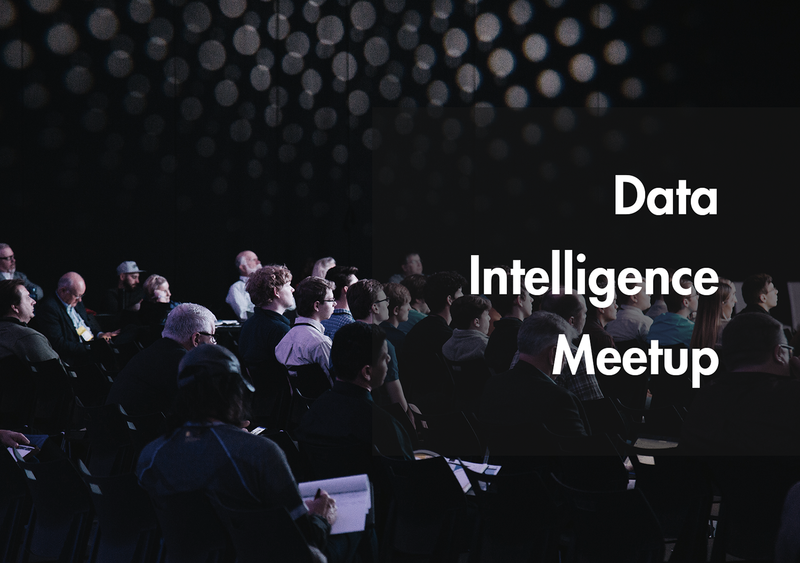 We invite to our AI platform all representatives in the field of Artificial Intelligence, AI experts, and simply those who are interested in the exchange of ideas within AI innovation, and big data analytics in 2019. Initial registration for Munich-AI Summit 2019 is already open on our meetup page.